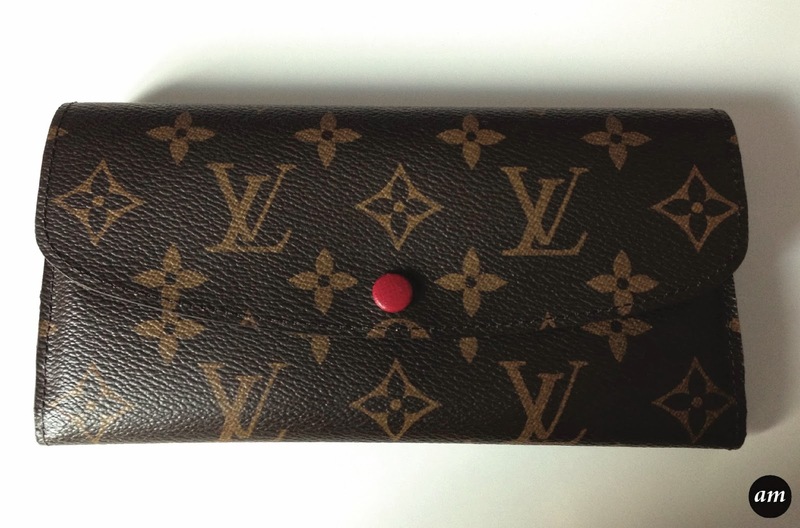 The Louis Vuitton Emilie Wallet is the perfect purse to match any of the monogram design bags. 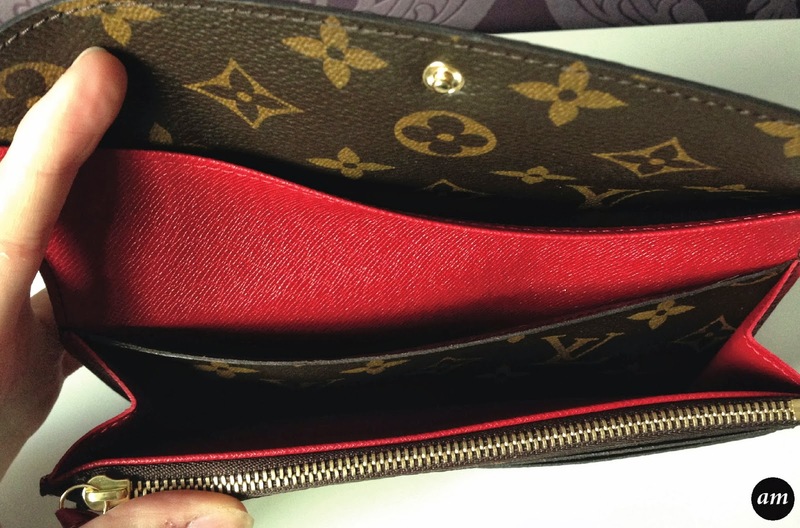 It has one zipped coin pocket, a paper money pocket, two other pockets to store things in and four credit card slots. It's ideal for anyone who carries a lot of things in their purse as it's quite big and has lots of space inside. My Emilie Wallet has a red leather lining, but you can also purchase it in blue and green. I think the red lining looks better as most of the bags have red on them somewhere, so it matches better. The blue and green colours don't look as nice either. 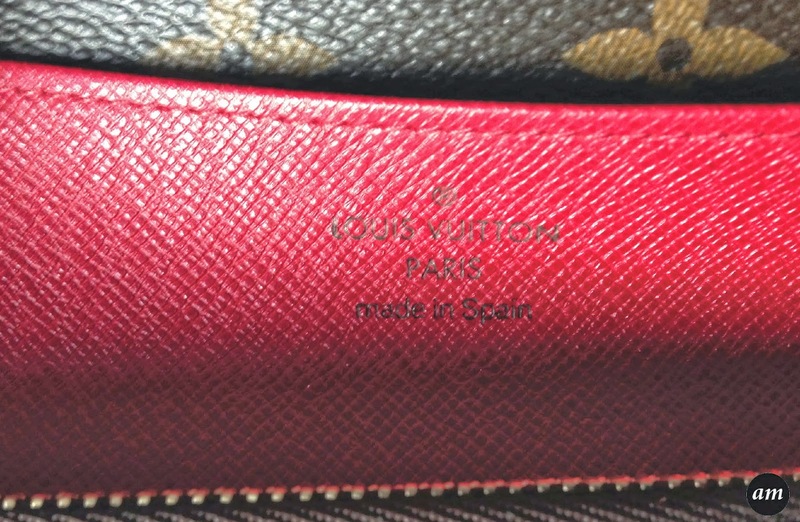 Louis Vuitton also offer you a free engraving service where you can get your initials engraved in the left hand corner of the red lining. Personally I think this looks a little tacky, but some may like it. I've had my purse since March 2013 and it still looks brand new. I love the little box that the purse comes in, I think it looks nicer being different to the boxes the bags come in. You can also keep the box to use it to store things in, or to keep your purse in when you are using a different bag and purse. 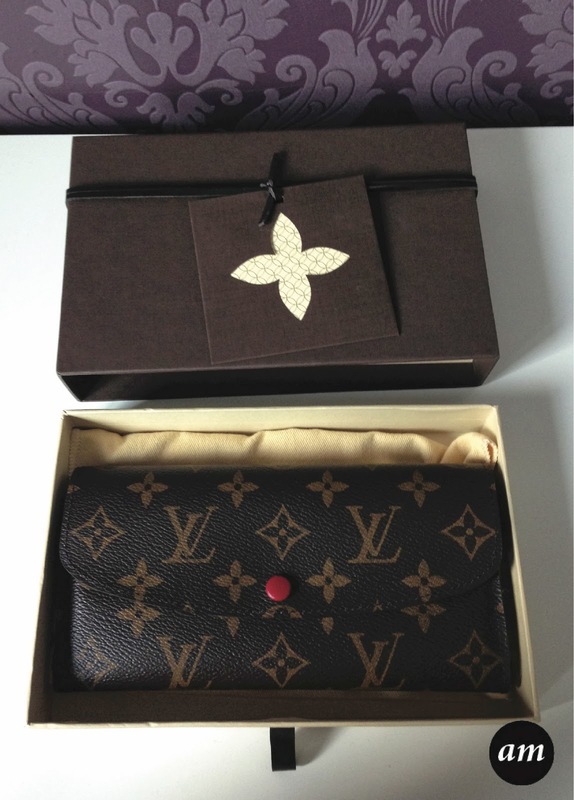 Overall I would totally recommend the Louis Vuitton Emilie Wallet as it's a nice pretty purse with lots of space. You can purchase it from Louis Vuitton for £265 which is one of their less expensive wallets. 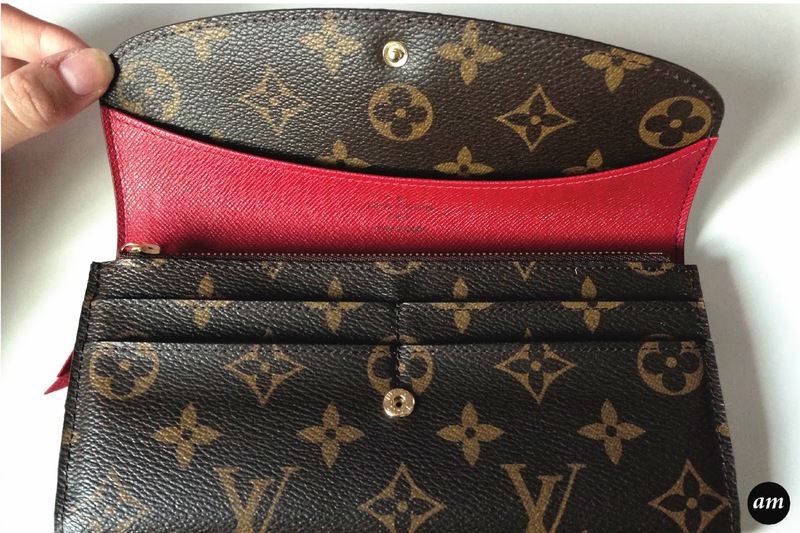 Buying Advice Please be aware that Louis Vuitton DO NOT sell any of their products in other stores or on other online sites even if the site is claiming to sell "authentic" Louis Vuitton. Do you own anything Louis Vuitton?